A real estate landing page is a targeted web page for different type of audiences, a buyer, a seller, an investor or a renter. In order to fully use this page to its full potential, you need to customize it based on your target or type of visitor. Visitors will not hesitate to sign up a form if you offer them what they need. 1. Complete and Simple – Your landing page should not be crowded with so many words or designs that confused and overwhelmed the visitors. It should have the basics, but keep it clean and direct to the point. 2. Has stunning Imagery – The image should captivate your target audience. It should mirror the lifestyle they are dreaming of. It should be a place where your visitors ever wanted to be. An example is a small house with an ocean view or a farm house surrounded by lush greenery. It should be something that triggered your prospect to take an action. 3. Trustworthy – Trust is a big issue with real estate leads. They want to be sure that the person or company they are going to deal with will not rob them, thus your real estate landing page should instill trust through the following. a. by being truthful – it tells the visitors what they need to know about the property, the details and the fees. b. by adding badges – add your badges of recognition and awards. If you are being awarded or recognized in your industry, it means that you are authentic and you know what you are talking. Knowing about your awards will help your visitors trust you fully. c. by adding a short testimonial – add a short good phrase from your previous client’s testimonial. This will instantly establish trust, knowing that there is one satisfied client. 4. Has Pop Up message – Adding a pop up message generate more leads. This can be annoying to some visitors, but once you ask the right question and you offer something in return, they will be more than happy to sign up. 5. Has inviting call to action – It shouldn’t be generic and boring. It should be something like you are talking personally to the person. Instead of a plain “submit” button, say something like “Get it now”. Just remember that your real estate landing page should not look like selling something, but more on offering help or providing value. Think like your visitors, what do you expect to get if you are them? 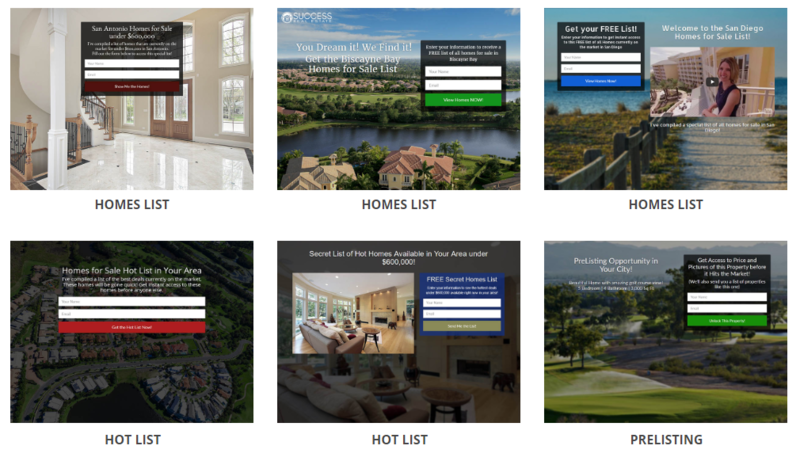 Profusion360 Real Estate Landing Pages are already done for you.